Samsung has for the past few years launched its Android based smartphones with its very own Touch Wiz UI/ Nature UX interface. The trend might be changing a little it seems as Samsung in America launched the new Galaxy Discover. 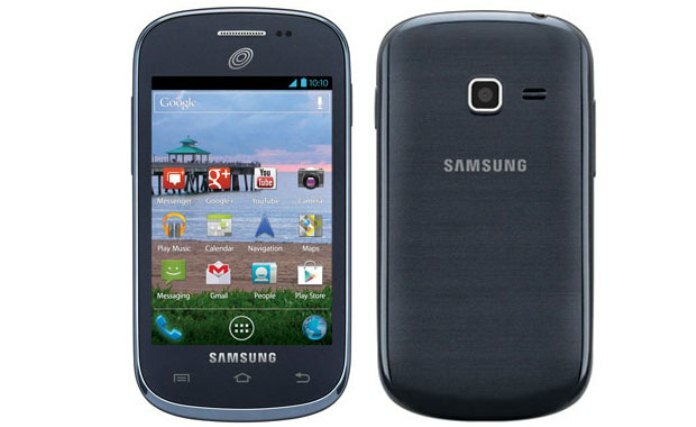 It is a low budget smartphone, but what sets it aprt from the rest is that it does NOT come with Samsung’s Touch Wiz UI. The 3.5-inch smartphone runs on Android 4.0.4 Ice Cream Sandwich with its original Vanilla Interface. The smartphone will be launched for Net10 and Straight Talk.